This is where it all started. A patch of land with no running water or electricity over 17 years ago turned into a beautiful property for healthy retreats for small groups. 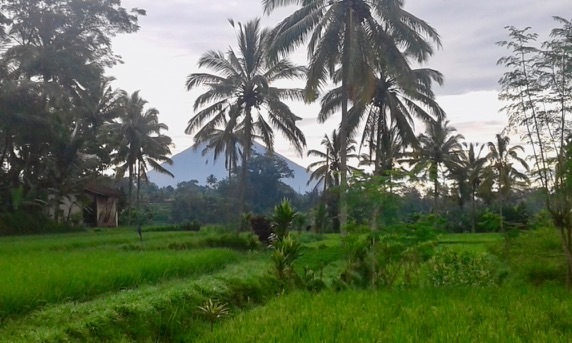 Located in a small village surrounded by mountains, jungle, rice fields and farms, it’s a place to disconnect to reconnect. 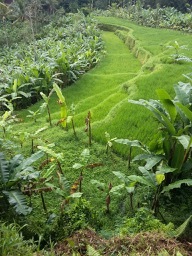 Our first Bootcamp Bali Style Retreat happened Aug 2008 and it changed our lives. After 10 wonderful years of retreats we’re taking a break to reimagine property. With the end of every chapter there is the start of a new one. Sharing Bali & Beyond is my new chapter. New destinations, new adventures, new experiences, new people. In between my SB&B travels you’ll find me at home enjoying village life, writing and exploring. Feel free to drop by for a glass of lemongrass tea anytime. Head over to My Bali Hit List on the blog for my latest insiders tips on Bali. 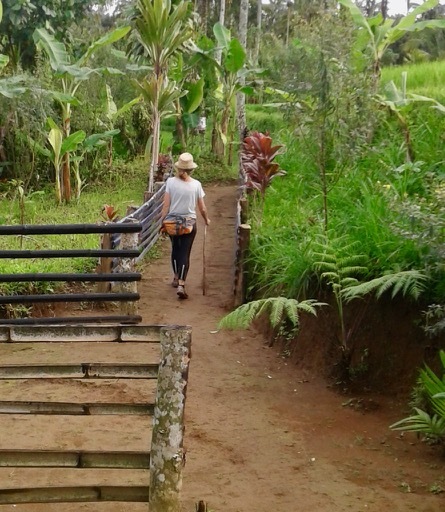 The epic Sharing Bali jungle treks are available as a day trip. There’s a choice of treks depending on your fitness or your adventure level. 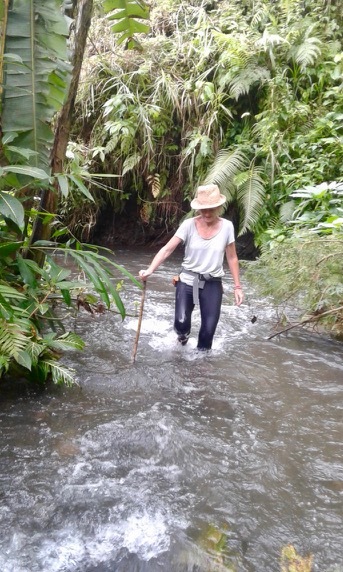 Trek through steep jungle ravines with river crossings or go for the easier rice fields walks. Both will take you through farms, villages and give you spectacular views. We can decide which is best once you arrive. 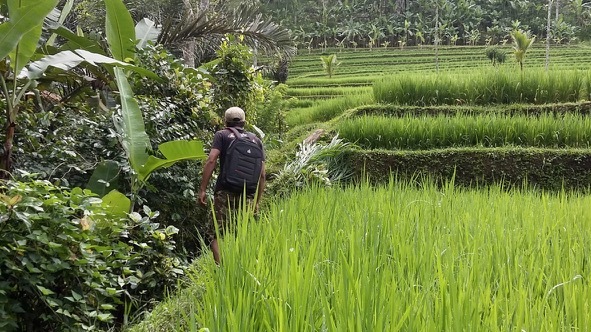 These treks are led by Kabal, who has loads of experience leading treks for Sharing Bali and helped set up treks in Timor-Leste for Sharing Bali & Beyond. 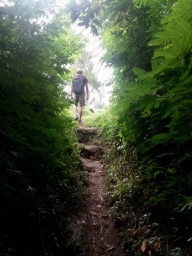 If I’m home I’ll probably tag along, as trekking truly is my happy place. Download the details here. Looking for a Bali retreat? Join Jo Sharp’s new Bali Insiders Fitness Retreat. 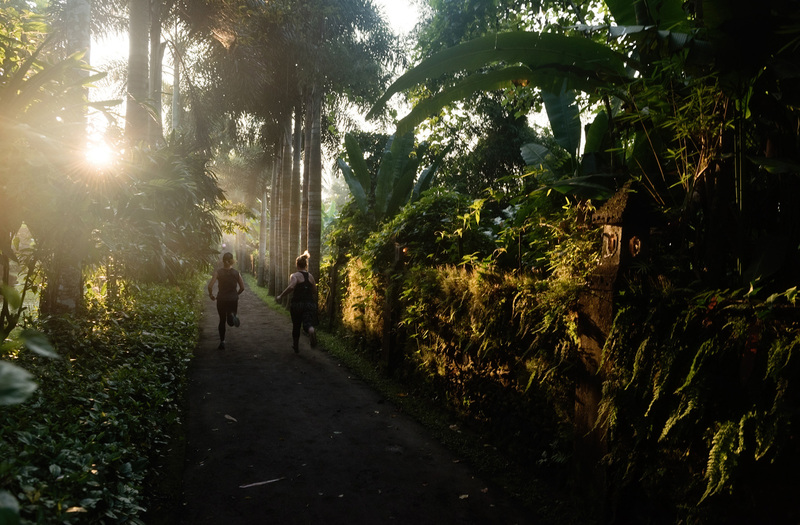 Discover our Bali treasures and insights with a little bit of fitness thrown in. Based in an Ubud hideaway, a quiet oasis with the benefits of shopping, restaurants and galleries close by.